Patriots' Path began as a project that protected the Whippany River, but soon became used for recreational purposes. As the county expanded the trail, they utilized old railway beds and right of ways of the Rockabye Railroad in Mendham, the Hacklebarney Mine Railroad, the Lackawana, Western Chester, Central, and Delaware Lines in Chester. These Chester railroads were built to access the Chester Furnace and Mine Industry. In the Black River Wildlife Management Area the trail follows the former right of way for the Delaware, Lackawanna, and Western Railroad. From County Route 513 in Chester to Furnace Road, the main white trail of Patriots' Path runs along the Central Railroad. Right before reaching Furnace Road, the white trail leaves the rail bed, while a blue spur continues to follow it. 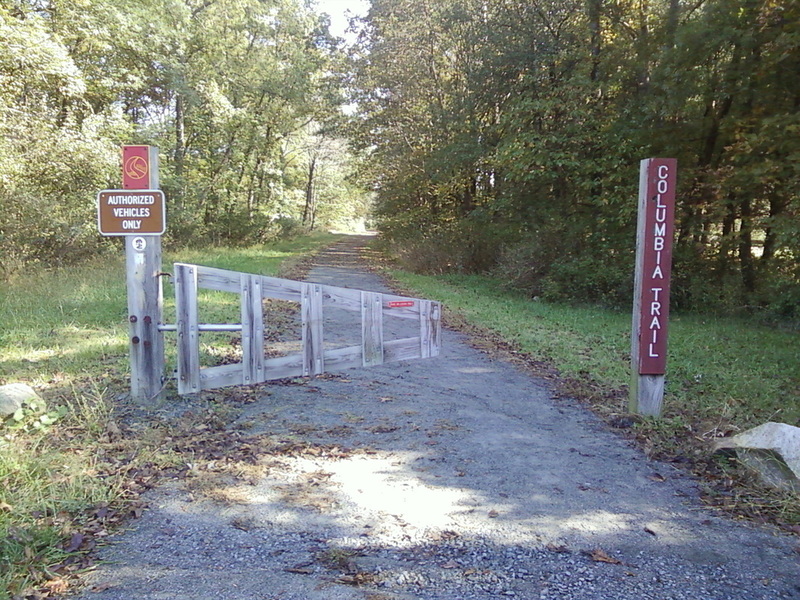 After leaving the rail bed and crossing Furnace Road, the main white trail rejoins the right of way to cross the Black River. The blue spur stretching from Chubb Park to Willowwood Arboretum follows sections of the Central Railroad as well as the Hacklebarney Mine Railroad through Chubb Park and Black River County Park, respectively. From Chubb Park, the blue spur soon leaves the Central Railroad. It follows the Black River to the Cooper Mill, where it then parallels the Hacklebarney Mine Railraod which it soon joins. It follows the Mine Railway until it reaches Kay's Pond, where the trail leaves the Hacklebarney Mine Railroad and joins the Langdon Mine Railroad. It follows this railway until reaching a bridge and turning left along the river. Here, the railway passes onto private land. After passing through Willowwood Arboretum, the trail follows the Rockaway Valley Railroad right of way to Daly Road. Over in Mendaham, Brookside and Ralston it runs along the famous Rockaway Valley Railroad or also known as the Rockabye Railroad. It runs on this railbed on the Cunningham Trail from Lewis Morris Park to the recreation park in Ralston before the right of way goes onto private land. The white trail follows this railed through sections of Morristown and Morris Township. From Speedwell Lake all of the way to Whitehead Road, Patriots' Path roughly follows the old railway easement. In Brookside, the blue spur continues roughly following the right of way all of the way to Ralston. Patriots' Path also follows a lot of abandoned roads, like the old Doby and Dolly Bridge Roads in Clyde Potts. Another abandoned road is near Cedar Knolls Road which was an old railroad access road along Interstate 287. The trail also runs along the abandoned Mission Road in Mount Olive Township. Overall the Patriots' Path is a great recreational rail-trail stretching from Livingston to Hacketstown. 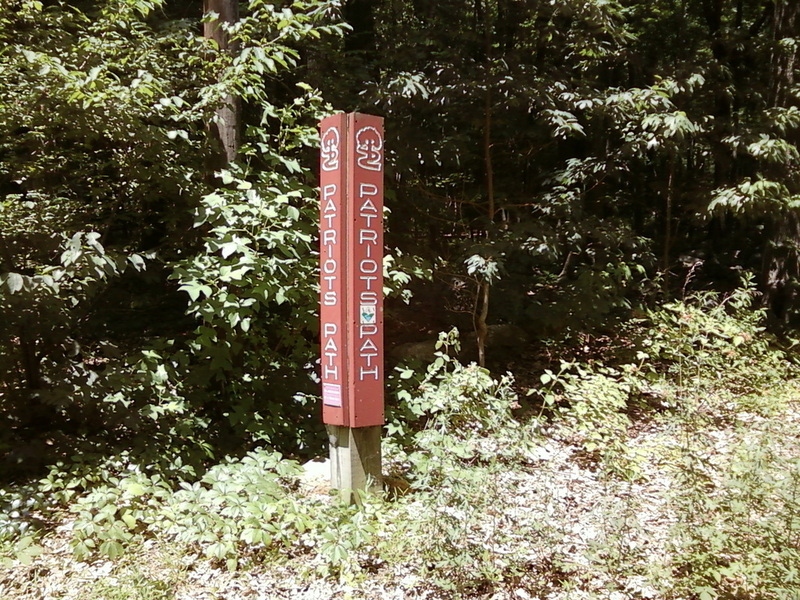 There are many incorporated trails within the system, such as the Highlands Trail and the Liberty Gap Trail with runs along Patriots' Path's white trail. There are also many parks that are connected by the main trunk trail as well as the many spurs. The path may soon be part of a 9-11 memorial trail; connecting many 9-11 monuments and historical sites. Patriots' Path is fun hiking, biking, running, cross-country skiing, and horse riding trail. Maps are available here. 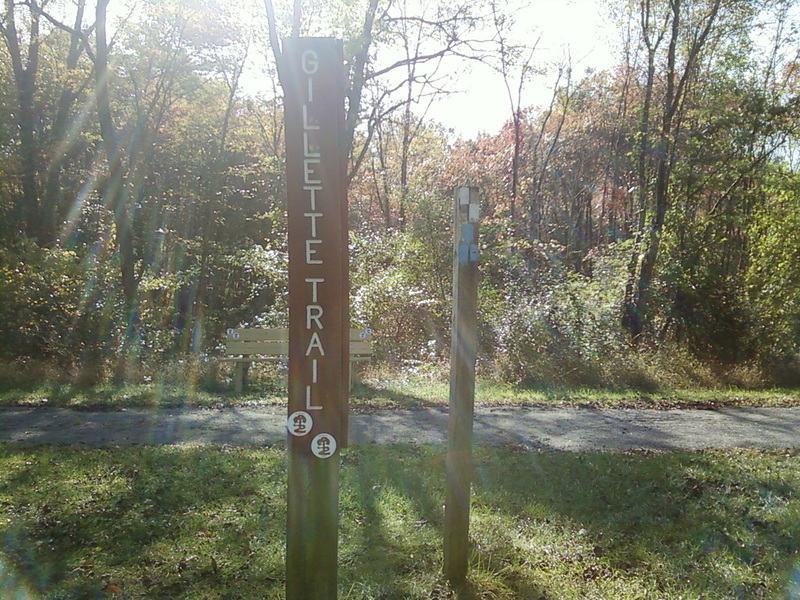 The Gillette Trail is an incorporated trail that is part of Patriots' Path. Most of the trail is now blue blazed, but it still is a part of the Patriots' Path. Parking located on E. Mill Street just past Bartley Road in Washington Township, and on Fairview Avenue across from Schooley's Mountain Park Trailhead, called the Palmer Fishing Access Lot. The trail starts near an old farm and runs through the woods to the Columbia Trail. It follows the trail to another trail (picture of the intersection on the left) and then continues one-hundred yards to the Palmer Fishing Access Lot. The trail is nice and well maintained by the Morris County Park Commission and is one of the nicer parts of the Patriots' Path trail system. It is dedicated to George M. Gillette. 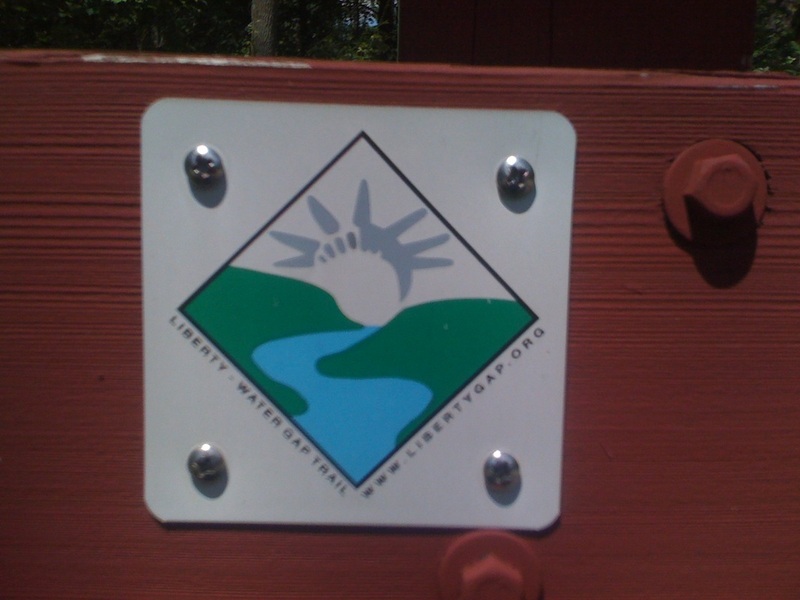 Columbia Trail is a rail trail running from Mount Olive to High Bridge. It is a biking/hiking trail. Patriots' Path runs along a short section of the trail. The white trail is incorporated into the trail from Fairview Avenue to Eliazabeth Lane. This trail is very well maintained and is very good for biking. The rail trail is very popular and is not very difficult. Parking is available at the starting points, Bartley Road in Mount Olive, and Main Street in High Bridge. Also parking is available on Fairview Avenue at the Palmer Fishing Access Area. 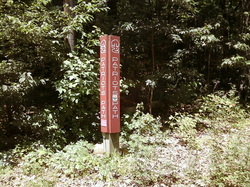 There are many parking areas along the trail. The west section of the trail is also part of the highlands trail. The Columbia Trail is named after the gas line running under it. The Liberty-Gap Trail is an in-development trail soon to stretch from the Delaware Water-Gap to the Statue of Liberty. It has six incorporatd trails: Hudson River Water Front Walkway, East Coast Greenway, Lenape Trail, Patriots' Path, Sussex Branch Trail, Paulenskill Valley Trail. The trail is still in progress, but will soon be completed. The Liberty-Gap Trail runs along the main white blazed Patriots' Path from Hakettstown to Livingston. 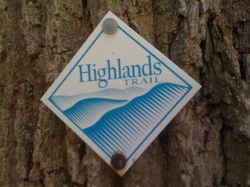 The Highlands Trail is a trail stretching from Cornwall NY to Musconetcong NJ. Patriots' Path is incorporated into it from Stephens' State Park to Schooley's Mountain Park. The trail is maintained and created by volunteers and will soon reach as far north as Connecticut and as far south as Pennsylvania.